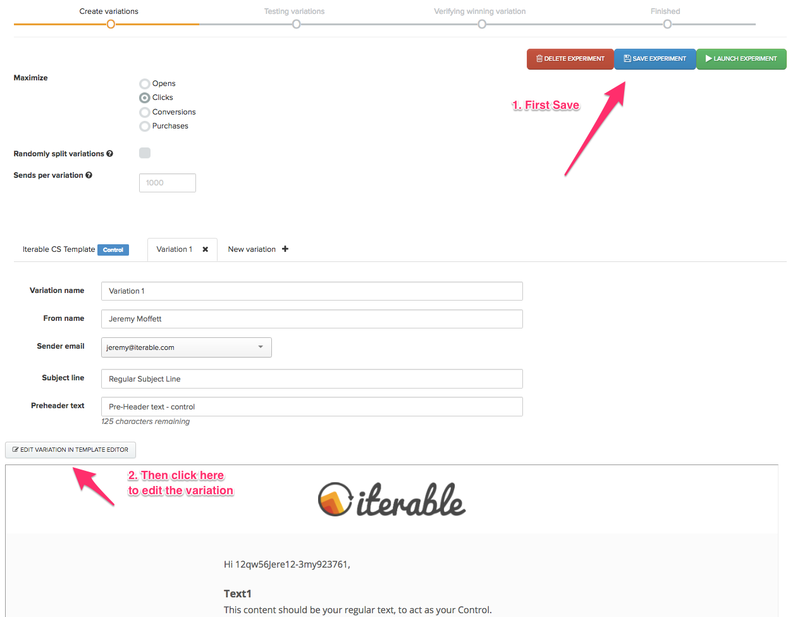 This article will go over how to test content in the message of your campaign. 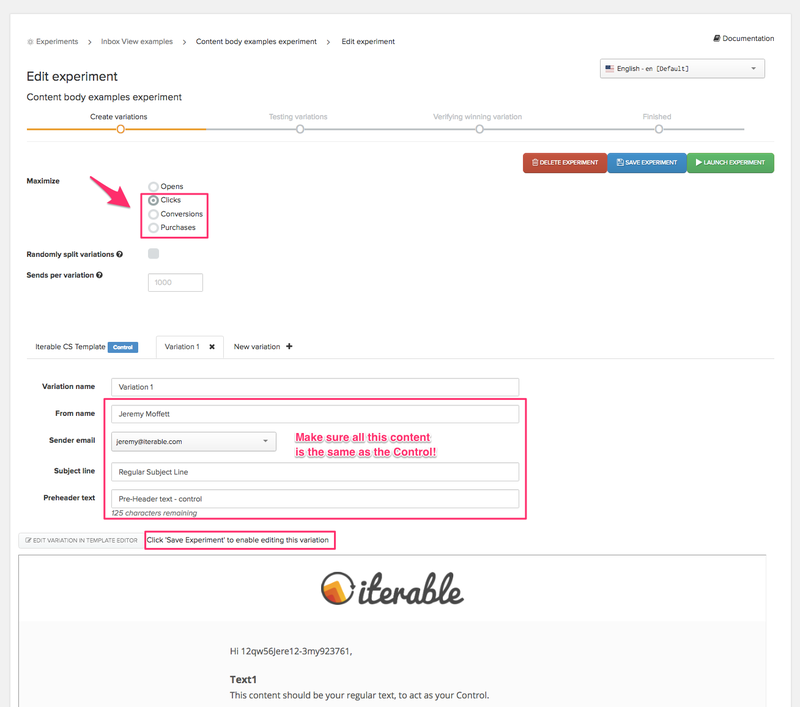 Testing this content would be best suited for monitoring differences in clicks, purchases, or other custom events. If you're interested in increasing opens, see our support article on testing the Subject line, from name, and preheader text. All of the steps below will first require you to create an A/B experiment when you're editing an existing campaign. For the purposes of this article, we used a triggered campaign, but the same steps apply for any campaigns. Once the experiment is created, make sure you have selected clicks or any of the other highlighted metrics as the metric to maximize. Begin by ensuring you have saved your experiment using the Save Experiment button at the top right. 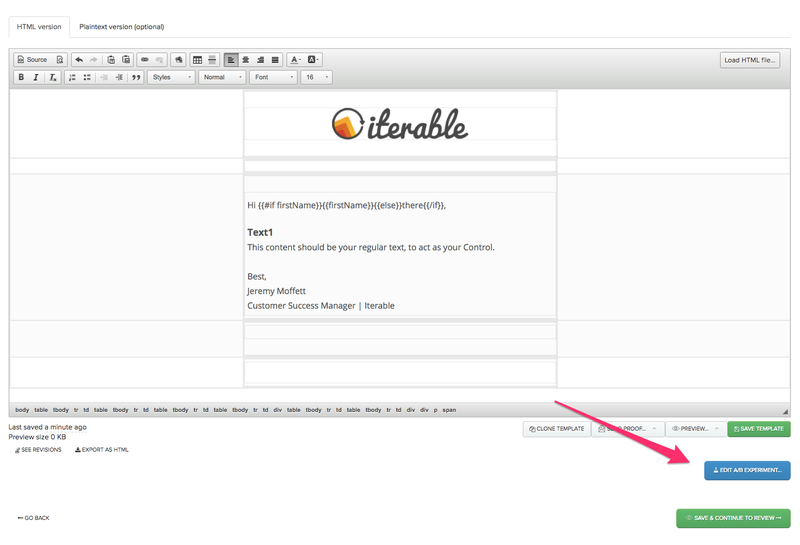 After that, the greyed-out button will become clickable and allow you to edit the variations. At this point, the variation will be identical to the control. From there, you'll be taking back to the template editor, but this time you'll be editing the variation. Make any changes you wish, whether it's adjusting the positioning of buttons, changing the text, trying alternate creatives, or other changes. When you're done, be sure to save. 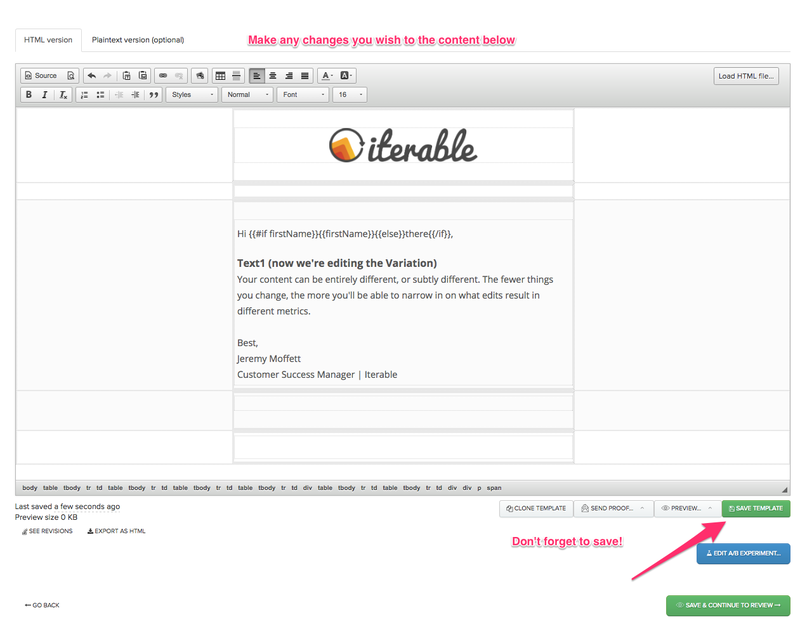 After you've saved, if you'd like to go back to the experiment, click the Edit A/B Experiment button. This will allow you to create additional variations, compare your control with your variation, or launch your experiment. 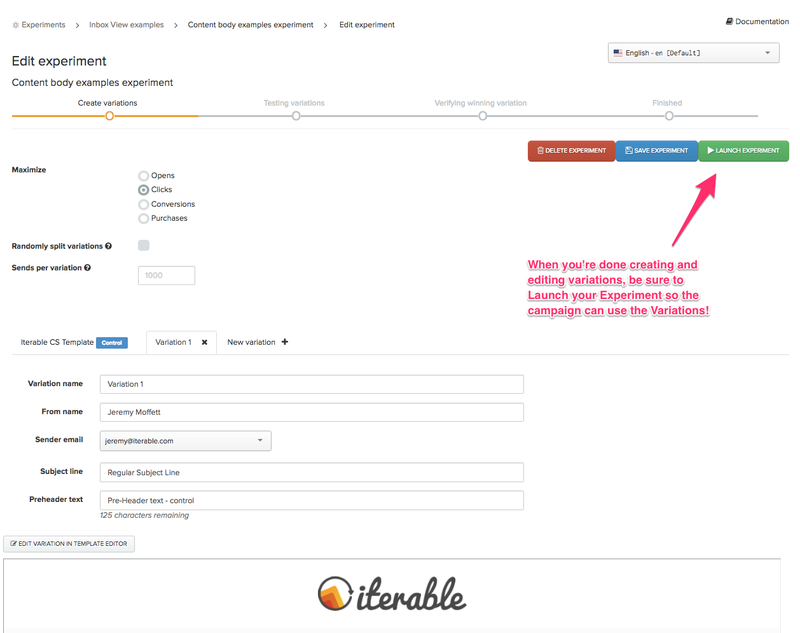 Clicking the Launch Experiment button will cause the experiment to become active. For blast campaigns, no messages will be sent yet, but the experiment will begin whenever the campaign was scheduled to be sent. For triggered campaigns, no messages will be sent yet, but whenever the triggered campaign gets used, the experiment will send either the control or one of the variations. And that's it! Once you launch the experiment, it'll be used in the associated campaign. Depending on what type of campaign or experiment you're running, you may also want to keep track of the metrics collected from your experiments. To learn more, read A/B experiment metrics.